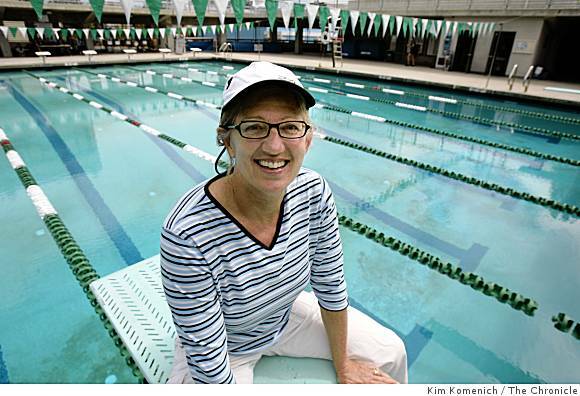 Marcia Benjamin been coaching swimming since 1986 and was recently named a USMS Recognized Coach for 2014! Marcia also received the 2013 U.S. Masters Swimming Kerry O’Brien Coaching Award and 2006 U.S. Masters Swimming Dorothy Donnelly Service Award. Marcia has coached at all levels from Summer Rec, High School, age group, Community College, to NCAA Division II. Marcia has coached numerous All Americams as well as Academic All Americans at the High School and Community College levels. Marcia is also a four-time USMS All American, and former PacMasters Swimmer of the Year. She has won two USMS National Championships in the pool, one in Long Distance, and was also named PacMasters Open Water Points Champion. Marcia has been recognized for finding a way to work creatively with the Community College system to create a different template and build a successful USMS program. Find out more about Marcia online!